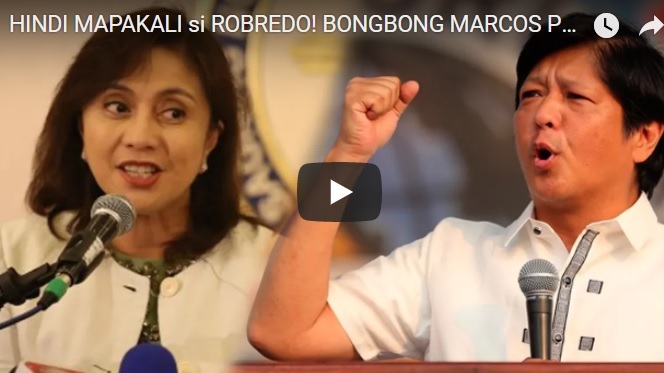 Bongbong Marcos: Why Does Robredo Demands Ballot Soft Copies WITHOUT Paying Liability? Bongbong Marcos has opposed to Robredo’s Motion that she be allowed to secure soft copies of the printed ballot images. This from the ongoing Decryption activity of the COMELEC for Camarines Sur, Iloilo and Negros Oriental. Marcos cannot figure out why Robredo suddenly wants them when she’s been opposing it ever since. She even did not help in paying the liability requirement. [VIDEO]: Bongbong Marcos said that election fraud can be verified in the technical examination. It will be recalled that the ongoing decryption activity was initiated solely by Marcos. He had to shoulder the decryption fee of Php 2.9M including an additional Php 2M for the initial supplies required by the COMELEC. Robredo did not join him in this undertaking. In fact, actively opposed the same as early as June 2017. Marcos has accused Robredo of cheating her way to the second highest office in the land. He lost to Robredo by a slim margin of about 260,000 votes in the 2016 national elections. Lawyer and I.T. expert Glenn Chong who has been involved in scrutinizing Smartmatic’s performance just refer to Robredo as a big liar. Recently, Robredo’s camp released a media propaganda accusing Marcos of forging the list of 8,000 election fraud witnesses mostly in his pilot areas. The accusation boomeranged to her. ALDUB or Alyansang Du30-Bongbong or ALDUB members stood as witnesses to various incidents of election fraud in Basilan, Lamitan.